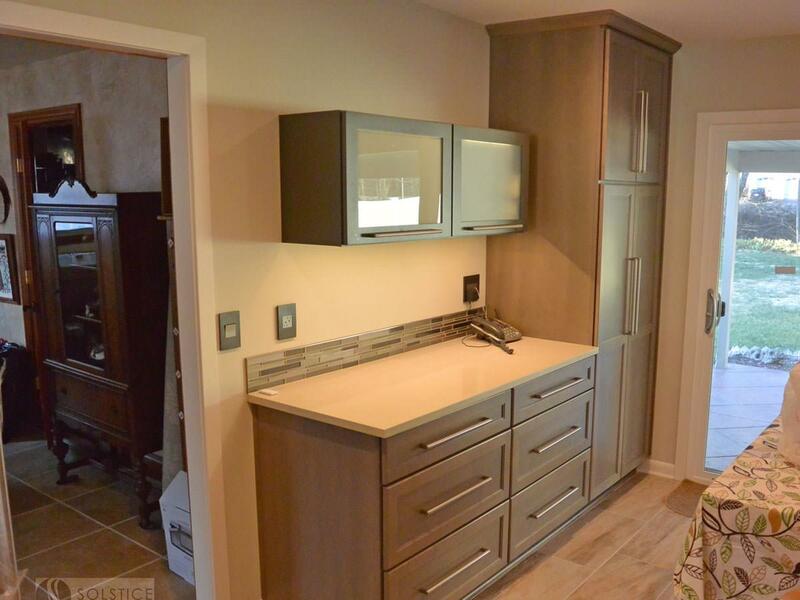 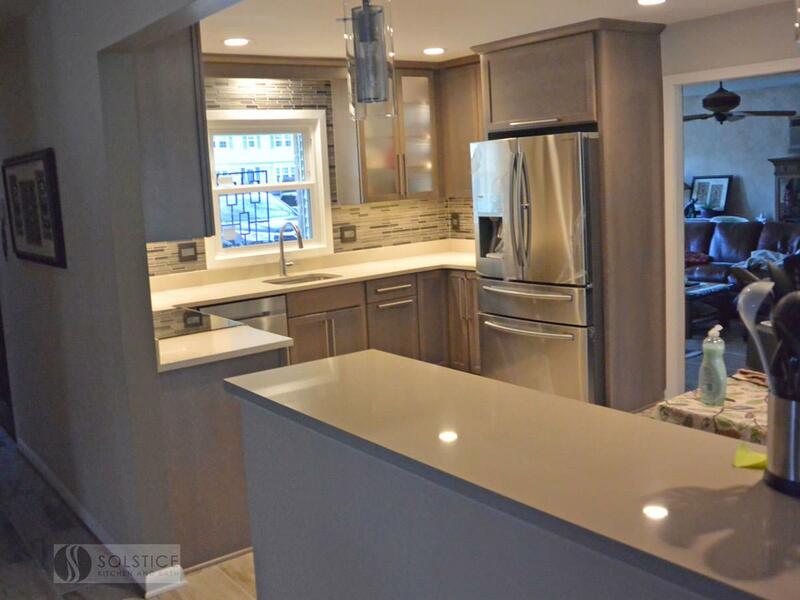 This compact transitional kitchen design in Bowie, MD utilizes a well-organized layout and clever storage solutions to maximize the available space. 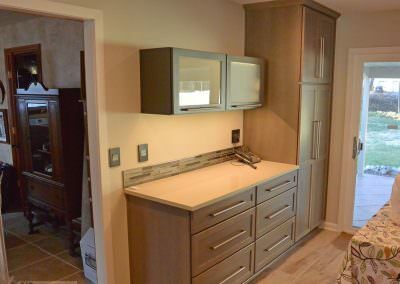 The Decora Harmony maple kitchen cabinets in Urban finish pack ample storage into the perimeter cabinetry, and a peninsula separating the kitchen and living area also provides extra work space. 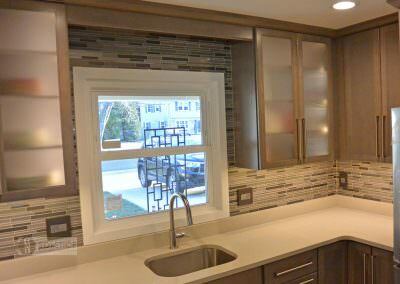 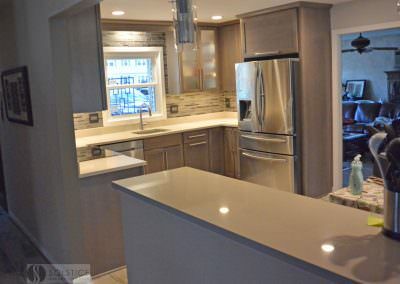 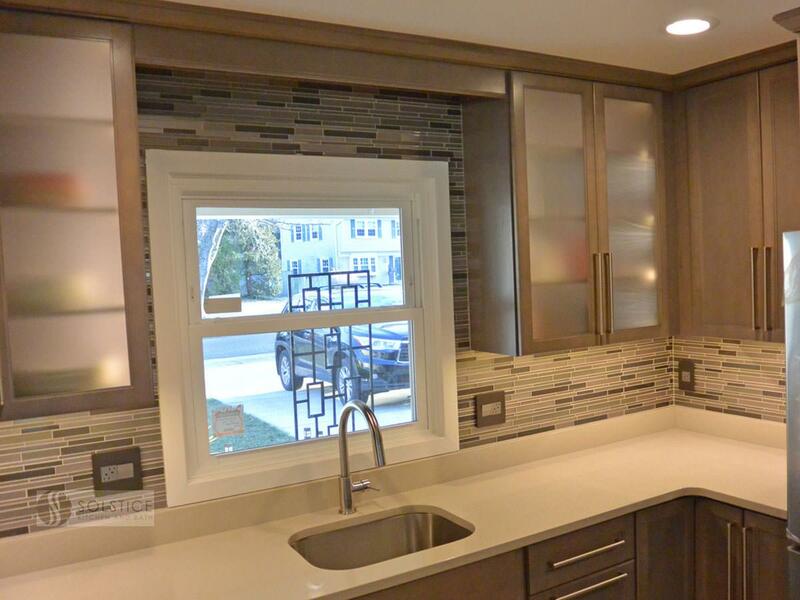 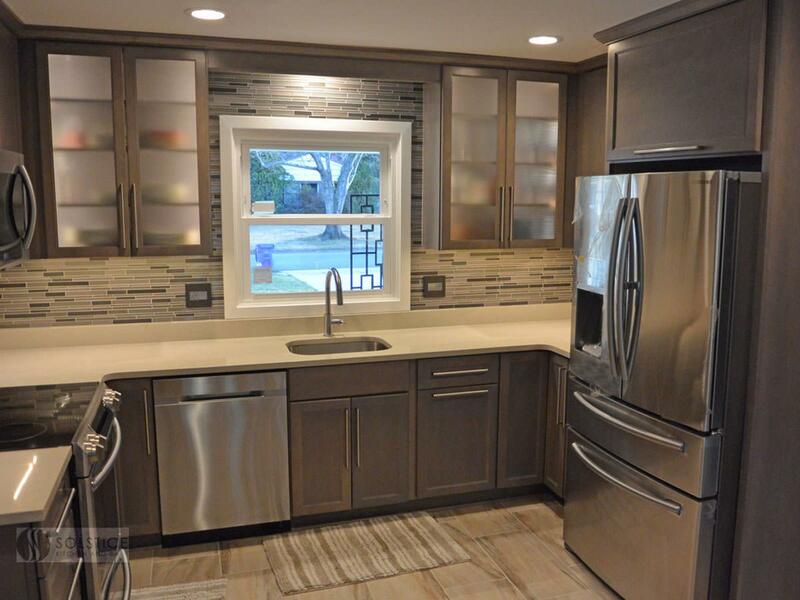 The upper cabinets have frosted glass with in cabinet lighting, which adds light and depth to the room. 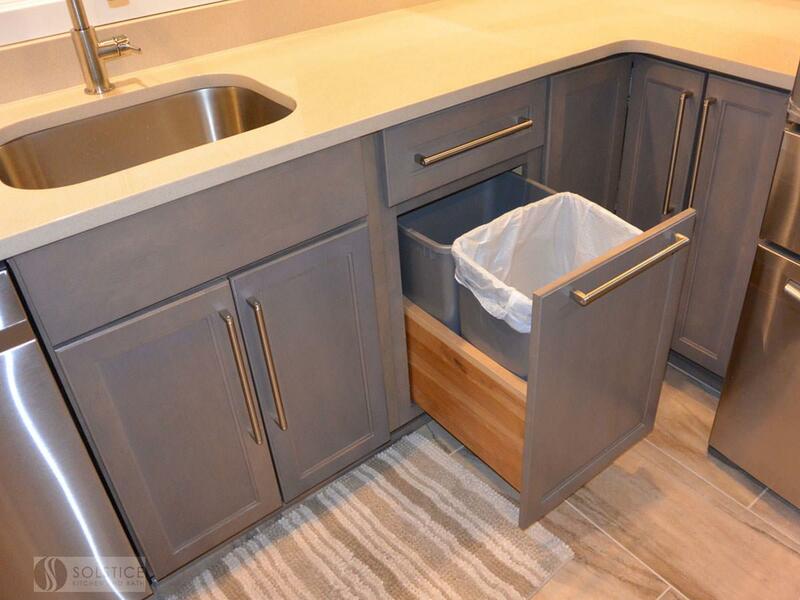 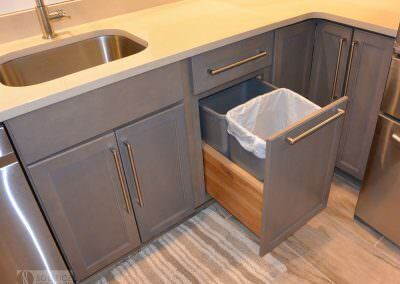 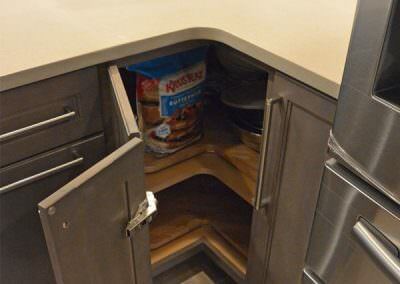 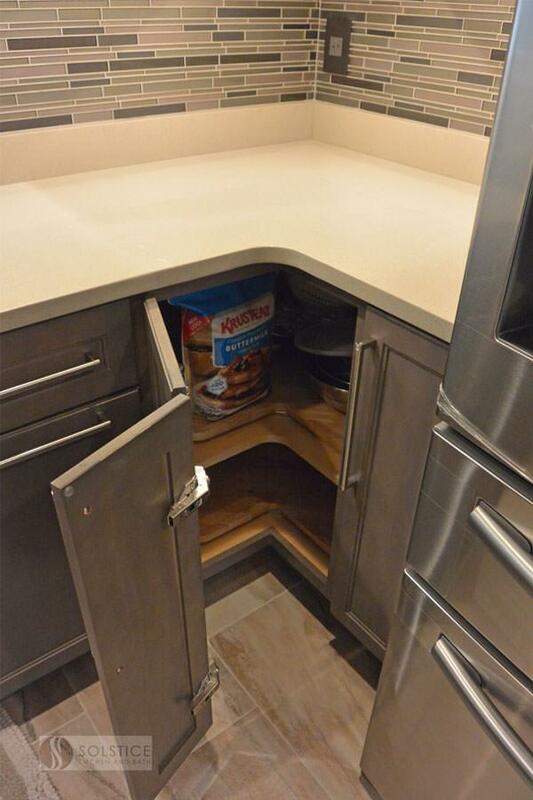 Customized storage includes pull out garbage and recycling cans and corner cabinet storage with a lazy Susan. 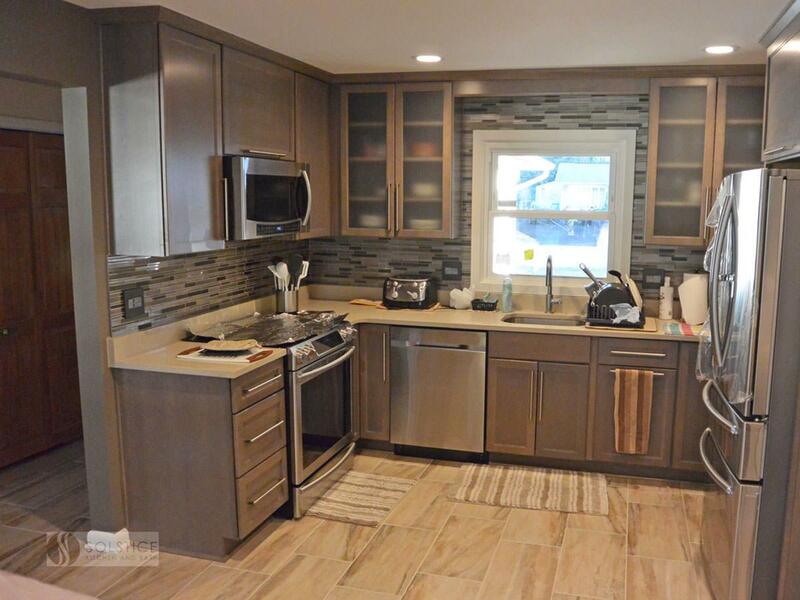 The gray cabinets are accented by Top Knobs Pennington pulls, a Pebble Rock Q Quartz countertop, and 12 x 13 mosaic tile backsplash from Compass Tile in multiple gray tones. 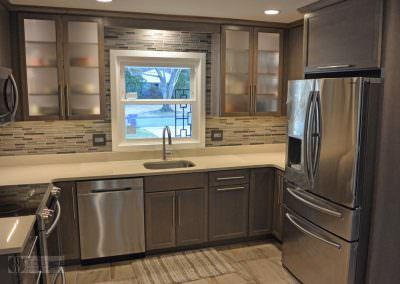 A combination microwave range hood fits neatly into the layout, along with the Royal USA stainless sink with a Delta Trinsic faucet. 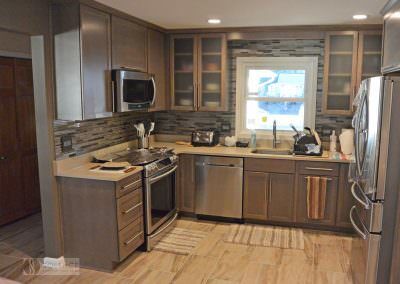 The Solstice team also installed a new patio door and kitchen floor tile designed to match the direction of wood flooring in the adjacent living area.